A bright white wash illuminates the sleek look of staple skinny jeans crafted from stretch-infused denim and cut for a cropped silhouette. 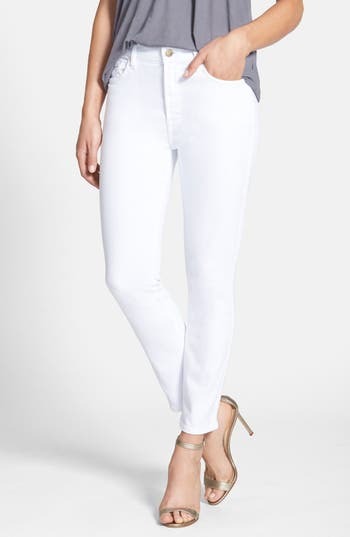 Style Name: Jen7 Stretch Crop Skinny Jeans (White Denim). Style Number: 845602. Available in stores.